The contract to supply GAIL with 2.5 million tonnes of LNG is one of the largest in the Russian gas company’s history. Gazprom signed its first big long-term contract for gas supplies to the Asian region with a contract to supply India. Acting through its branch company - Gazprom Marketing and Trading (GMT) - the Russian gas giant has signed an agreement on the supplies of liquefied natural gas (LNG) to India’s GAIL Company. Analysts are sure that strategically, this is a very important step for Russia. The contract with GAIL India Limited on LNG supplies has become one of the biggest contracts in Gazprom’s history. It says that for the period of 20 years India will receive 2.5 million tonnes of Russian natural gas annually. The supplies will start in 2019. Commenting on this agreement, Gazprom’s Head Alexei Miller said that he found the Indian market one of the most dynamically developing markets in the region. Experts share his opinion. The signing of the above-mentioned contract with GAIL is a very important stage of Gazprom’s strategy to gain access to the South East Asian market, an independent analyst, Dmitry Lyutyagin, says. Experts say that Asia is an energy-deficit region, which means that the need for Russian hydro-carbons will grow in the near future. Therefore, Asia is strategically a very important direction. The more so as gas consumption in Europe is falling, and Gazprom is losing its revenues, an expert with the independent Analytical Agency Investcafe, Yulia Voitovich, says. 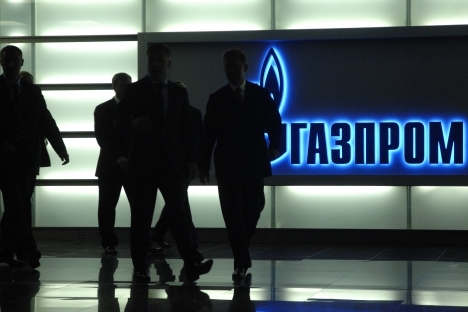 There are plans to supply natural gas from the Shtokman Deposit to India. The production of liquefied natural gas is planned to be launched there in 5 years. A plant in Vladivostok for the production of LNG is the second option. It is planned that it will be commissioned by 2017. Besides, currently under consideration is the possibility of broadening the production of LNG as part of the Sakhalin-2 project. Unless additional productions of LNG in Russia are commissioned by 2019, the contract with the GAIL Company will be implemented at the expense of Gazprom’s reselling the fuel bought from other producers.